5.52 Acres in Sherman City Limits. Current use of the land is Agriculture - Many Trees and a Creek run through this parcel of land. The property is located just West of US 75 and South of FM 1417; and adjoins the back section of 109.78 Acres listed for sale which is adjacent to the master planned business park Progress Park. 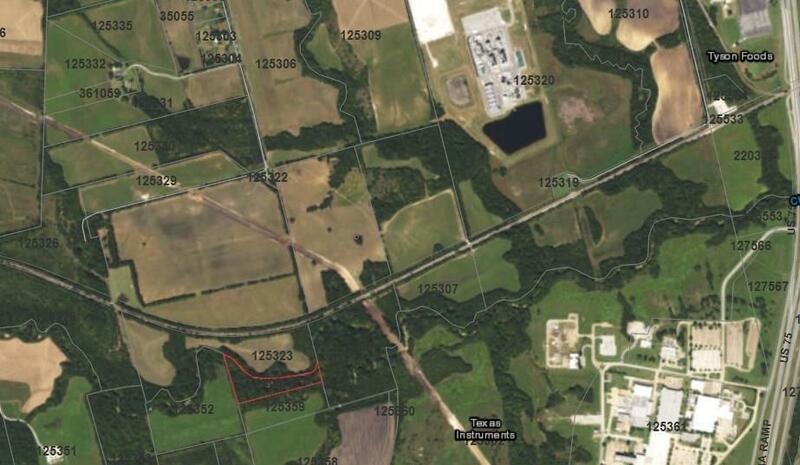 The adjoining 109.780 Acres listed separately must sell and close with this property. Offered by Kimberly Shivers of Heritage One, Realtors.